Who doesn’t love a good benchmark? Right? 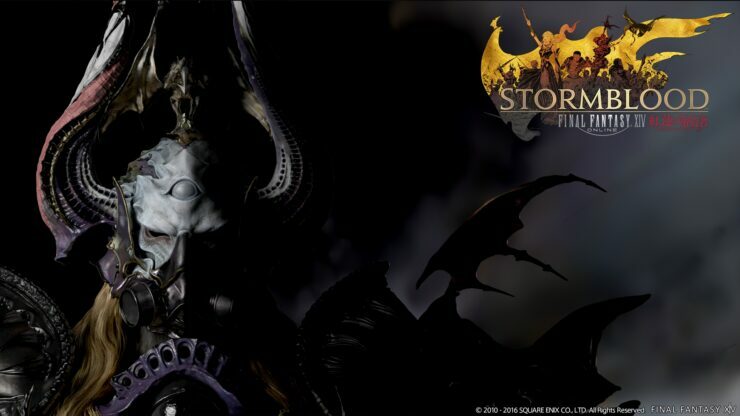 And the newest one from Square Enix’s Final Fantasy XIV is a joy to watch. Sure the game is still running on the same engine that it launched with back with A Realm Reborn, but why not see how things should be running on the latest expansion of the rather popular MMORPG. You can join along in the fun by downloading the benchmark yourself here, after all at least the benchmark is free. For our results we simply ran the entire benchmark using the Maximum preset to see how things fared at the very limits of what this game can deliver. So always remember, tweaking settings can offer a potential drastic improvement in frame rates. Because the benchmark consists of several segments we weren’t able to draw results in our normal testing methodology so you won’t be seeing any .1% or 1% lows measured here, just the average frame rates. Looks like running this game a 1920×1080 isn’t going to be an issue for most, if you’re running something along the lines of the RX 460 you’re definitely going to want to consider turning a few things down, specifically HBAO+. Moving up to 2560×1440 we see the resolution impacting hard on mid tier cards and rendering the entry level ones to console or slideshow levels. But in all honesty dropping some settings here on those classes should bring performance back to a more than acceptable level. 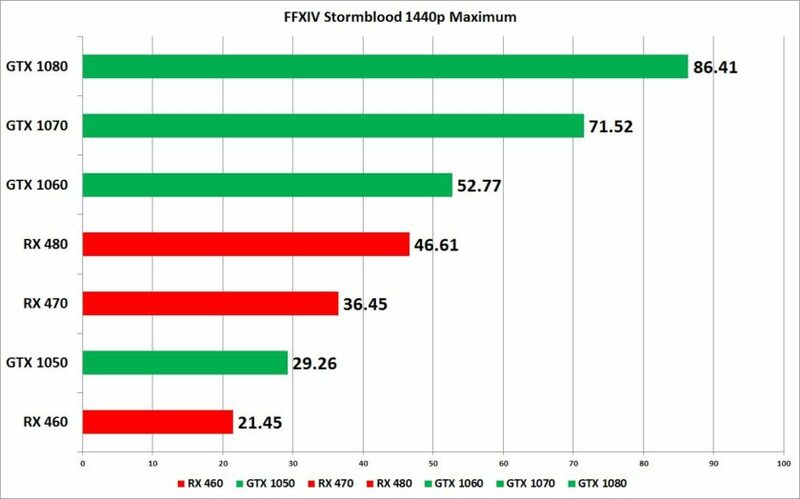 But then again, I don’t imagine there will be too many people trying to game at 1440p using either an RX 460 or GTX 1050 so there’s that. 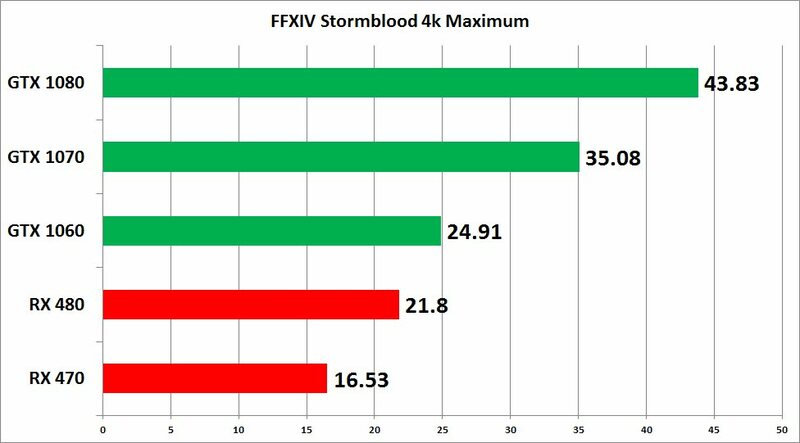 Cranking things up to 4k we see our frame rates slashed in half regardless of what card you are running. 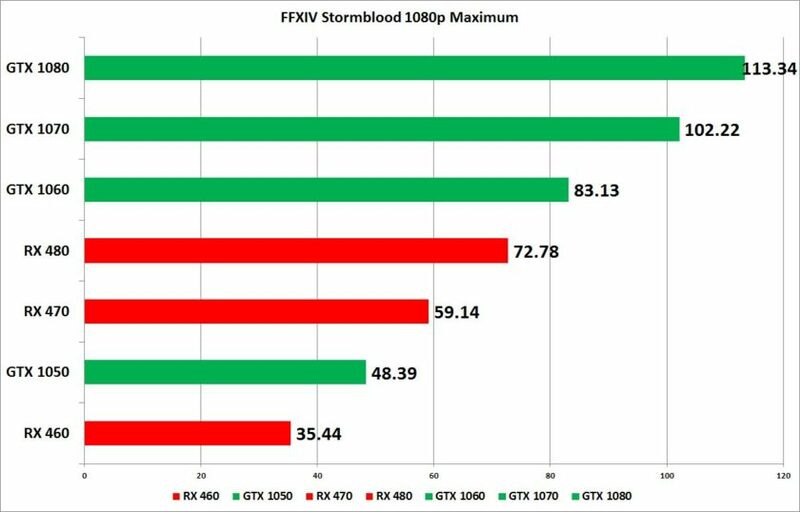 Even the GTX 1080 gets pulled down below 60FPS. Good thing for everyone is this game engine and game has been around a while with multi GPU support and this is definitely where you will want to put that to use if you have a pair. While 4k may have been a bear I cannot imagine that most people either playing this game or looking to play will be on that resolution, and while 1440p is nice and probably rather common these days I imagine that most are playing this game at 1080p. The good thing about working up an older game engine like they have means more people will be able to get in without having to worry about upgrading. Just keep in mind, if you are running a Radeon card you’ll want to turn off that gameworks feature HBAO+ for a bit of a boost in performance. With that all out of the way, we want to see what you can pull off with this benchmark! Go wild and let us know in the comments with a screenshot of your final score.